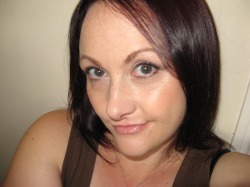 Emma trained as a secondary English teacher in 1995, having gained a BA in English and Psychology. She initially taught mainstream and special needs English in West Lancashire until taking up an Assistant Head of department post in East Lancashire where she was responsible for the initial changes under the Department for Education Secondary National Strategy. At this time, she began marking GCSE and KS3 English and also began contributing to national publications, including NATE Secondary English Magazine and the Secondary National Strategy Writing Challenge. In 2008, she left a full time head of English post and developed her own tuition and management company, having completed a post-graduate certificate in Process Consultancy from the University of Manchester. Since then, Emma has worked with a range of children and adults, both as tutor and coach, developing their potential and achievement. She is skilled in facilitating change and individual development with adults, helping them change careers, make significant lifestyle changes and supporting them in personal development. She continues to support all ages of learner in their acquisition of language skills and analysis. She continues to write about a very diverse range of content for a range of audiences and in a range of media, and she continues to teach languages. Specialist subjects: English language and literature, Western European languages, photography, art, music, sport, business and business management. From finance to fashion, information to advertising, fiction to publicity materials, play scripts to websites, Emma can provide a range of published examples of her work.